Less than a week after Apple discontinued free access to its ad-supported iTunes Radio channels, SoundCloud has unveiled its new “Stations” radio service, offering a continuous, lean-back listening experience on its iOS app. 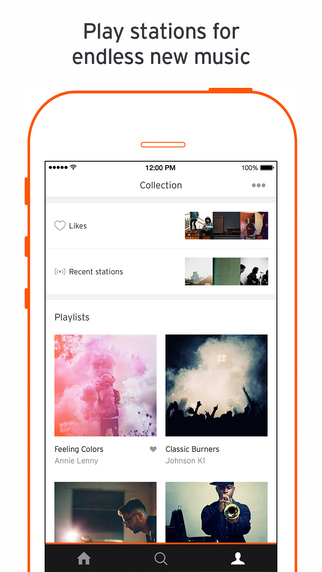 Similar to Pandora, users can listen to an endless stream of music on SoundCloud Stations, based on a track, search or other content stream (via TechCrunch). SoundCloud says they’ll “pull from the 100 million plus tracks” to “bring you an endless stream of awesome audio.” Stations liked by users can be accessed in their Collection, which also shows their Likes and Playlists.